Today I've been working on the back for the baby quilt from my last post. 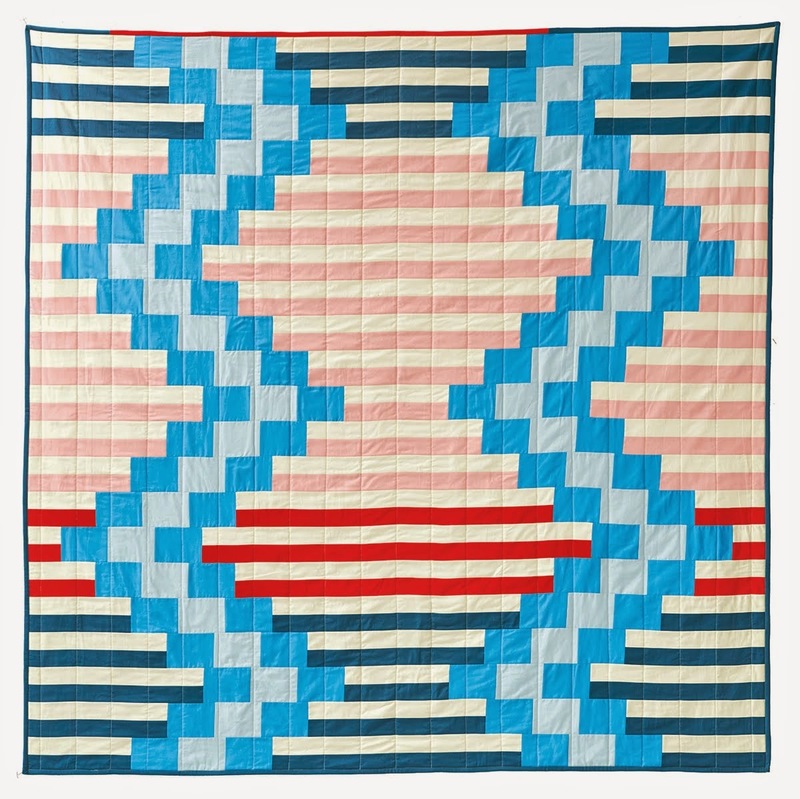 I'm trying to make a concerted effort to label all of my quilts, at very least the ones that are gifts. 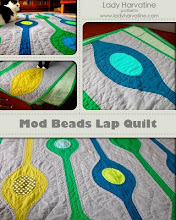 My friend Wendy, the secretary for the LA Modern Quilt Guild, gave a very entertaining yet informative talk on the importance of labeling your quilts at a recent guild meeting. She actually had a family member leave a quilt on a plane that was later returned because it was so well labeled. That's pretty impressive. 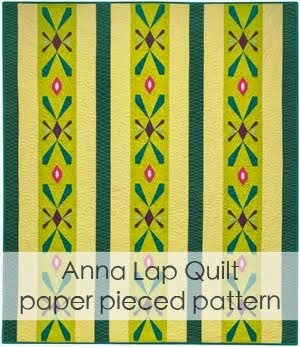 For this quilt I'm using a technique I learned from Wendy. I picked a nice font, typed up my label and printed it on paper. Then, because I don't have a lightbox like Wendy, I used nature's lightbox (the sun) and taped the paper to my window with the label fabric on top of it and traced the text. I used a micron pen (they're waterproof), then heat set it with my iron. I love that it almost looks printed, just enough to mess with your head, but so much neater than my regular handwriting! Thank you so much for a neat, no pun intended, idea for making labels. I have been very negligent in doing this, but am definitely going to give this a try. That one is one I have done as well. As I expect the baby quilts I make to be loved and used, I also include the left over binding and put it behind the label, then it washes when the quilt washes and it's there for repairs if necessary. Great idea! I don't like the printable fabric -- too stiff -- but this would look nicer than my usual handwriting! 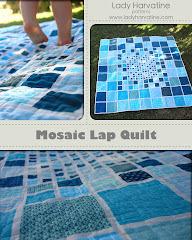 This is hands down the classiest, cleanest, most modern way to lable a quilt I've ever seen—I love it! This is such a great idea! I need to start labeling my quilts. What a clever idea to make writing neater. Thanks for the tip. love the label. what is the font you used? that is a superb idea. never thought of that. way to go!! I do that, too! Here's mine from one of the Doll Quilt Swaps. I really love this! Thank you for sharing!